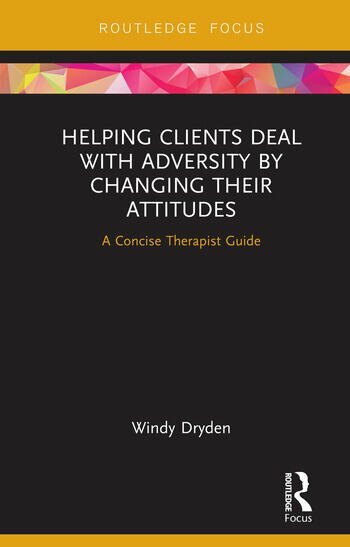 Helping Clients Deal with Adversity by Changing Their Attitudes: A Concise Therapist Guide provides an outline for therapists wishing to help clients deal with life’s adversities by encouraging them to change their attitudes. Divided in two parts, this book first provides a thorough, but concise, introduction to attitude-based approach to therapy, then applies these ideas to therapy. By redefining established concepts of ‘rational’ and ‘irrational’ beliefs in terms of the ‘rigidity’ and ‘extremity’ of client attitudes, Professor Dryden puts forward a language and an approach that is more acceptable to both clients and therapists. Helping Clients Deal with Adversity by Changing Their Attitudes will be a great asset to clinical and counselling psychologists, counsellors, and psychotherapists as well as trainees in these areas. It will be particularly of interest to CBT practitioners and students who do not cover REBT in their training, but are looking for a concise guide to how its attitudinal focus can be understood and applied in clinical practice. Windy Dryden is in clinical and consultative practice and is an international authority on Cognitive Behaviour Therapy. He is Emeritus Professor of Psychotherapeutic Studies at Goldsmiths, University of London. He has worked in psychotherapy for more than 40 years and is the author or editor of over 230 books.